Oma loves a good glass of red wine. After all, a glass of wine a day keeps the doctor away. . . . right. The French diet is often used as an example of how wine can improve heart health. The French have a fairly high-fat diet but their heart disease risk is relatively low. And some have attributed this to red wine! Oma has learned that the secret to better tasting red wine is a good wine aerator. The Vino Aria Aerator is so very easy to use that you will never hesitate to outfit your bottle of wine with this cute vino tool. It’s high quality acrylic and aluminum with rubber stopper fits easily into any wine bottle. 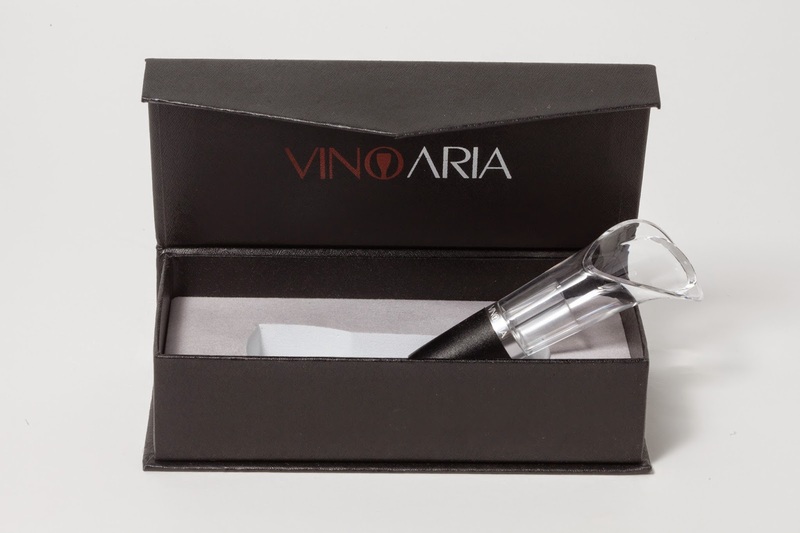 The Vino Aria Aerator helps cut down on bitter notes or puckering often associated with red wines. Unlike other aerators this is not bulky and it does not require two hands. Oma loves hers. It comes in a black gift box and makes a great gift for wine lovers! Fits wine bottle perfectly unlike other aerators; which can cause leaks and dripping. 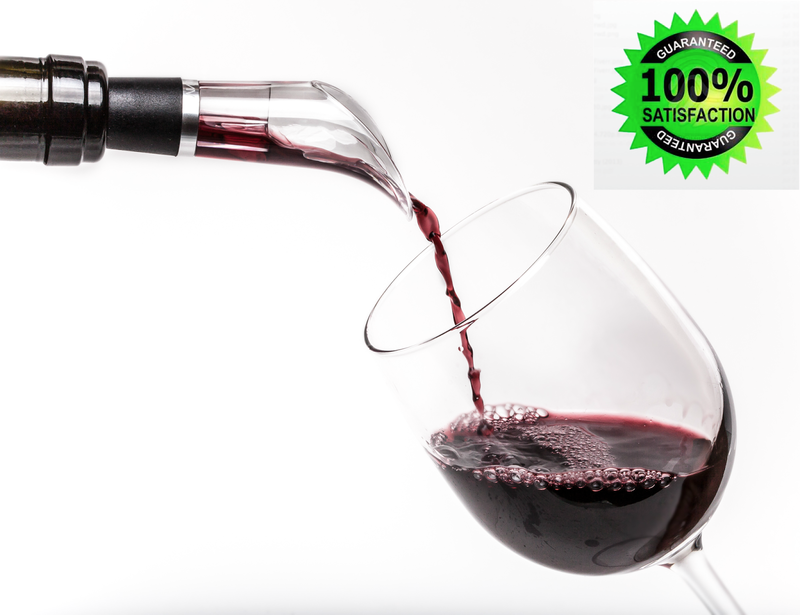 Simply pour your wine through the Vino Aria Aerator and into your wine glass. You'll immediately detect noticeably enhanced scents and taste. This little wonder of a device instantly delivers a more satisfying wine drinking experience through the enhance breather process. It also downplays any bitterness and puckering that are associated with many red wines. This edition has a unique petal design with a laser engraved logo. The silver ring stands out and adds to the classy look. The rubberized core dries quickly and the sturdy construction of acrylic, you'll be using it for years to come. Unlike other aerators this is not bulky and it does not require two hands. The aerator offers breathability as it pours with no wait time. This is a highly gifted product, which includes admirable packaging. The black box stands out against the logo. When you order today, you're protected by our LIFE TIME GUARANTEE; whether its 10 days from now or 10 months from now. Please let us know; we strive for world-class customer service! Normally priced at $39.95 – Now on sale on Amazon for just $19.77!